This was the first map I released in August on Patreon. 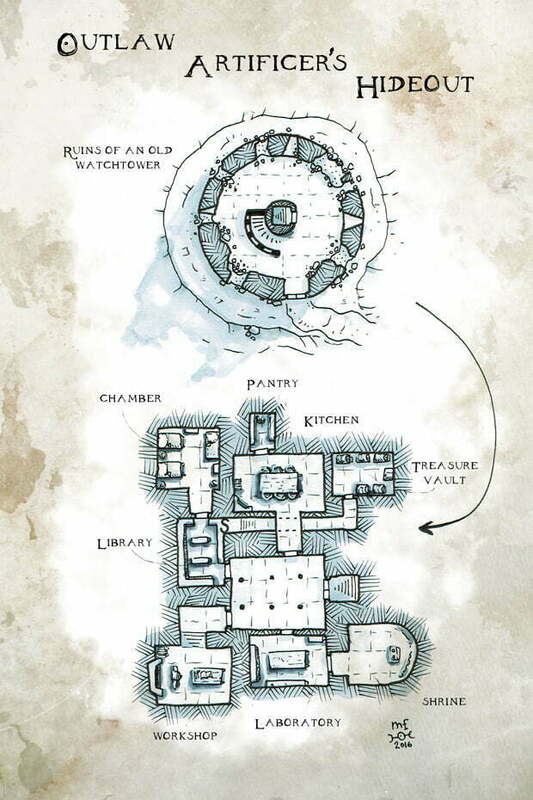 It’s a hideout for some sort of a cabal of outlaw artificers or other practitioners of questionable arcane arts. I thought the artificers could also be some kind of alchemists or warlocks, dabbling with wondorous items, magic potions and such. This might even be a hiding place for a witch coven or a dark cult.